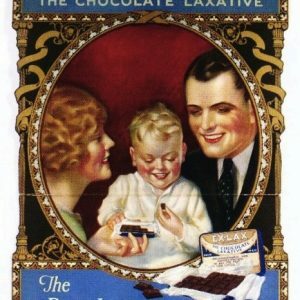 Scarce, large, early 1Ñ2 lb. 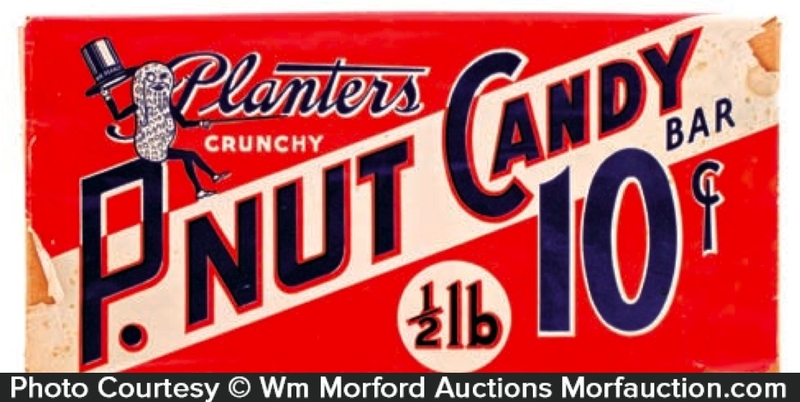 size candy bar box w/ attractive wrap around paper label for Planters Peanut Co.’s 10¢ Crunchy P. Nut Candy Bar. 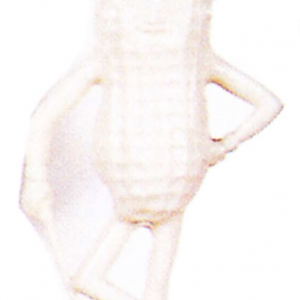 SKU: 79-52. 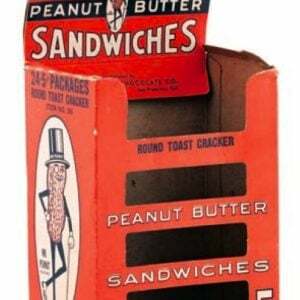 Categories: Boxes and Crates, Labels, Nut and Chocolate, Vintage Candy. 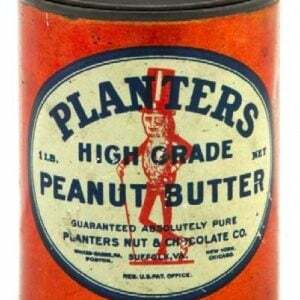 Company/Brand: P.Nut Candy Bars, Planters Nut & Chocolate Company. 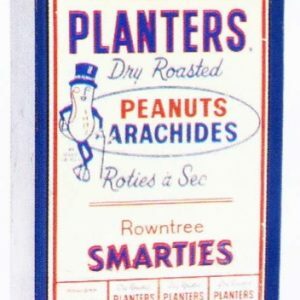 Planters Canadian P.Nut Candy Bar Box: Scarce, large, early 1Ñ2 lb. size candy bar box w/ attractive wrap around paper label for Planters Peanut Co.’s 10¢ Crunchy P. Nut Candy Bar. Label has strong colors and displays nicely, w/ minor staining and some light tattering at outside edges (C. 7.5+/8-).